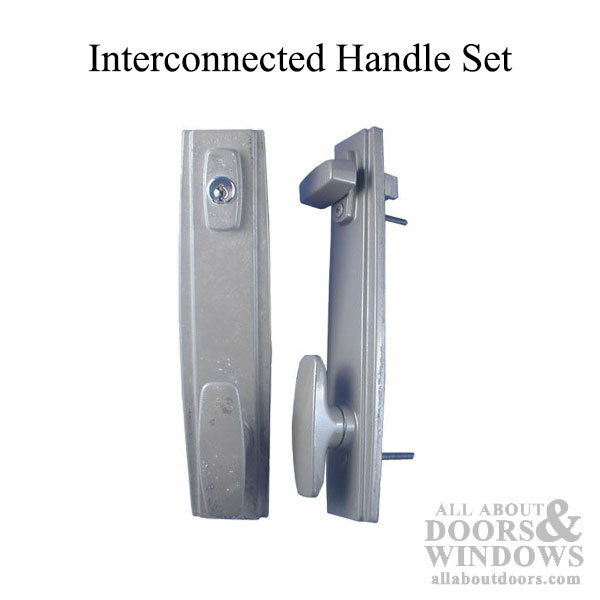 Interconnected Lock sets are design for emergency exit. 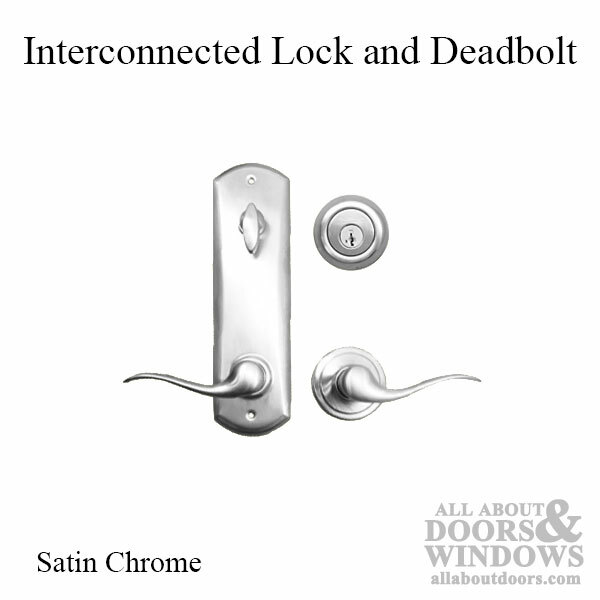 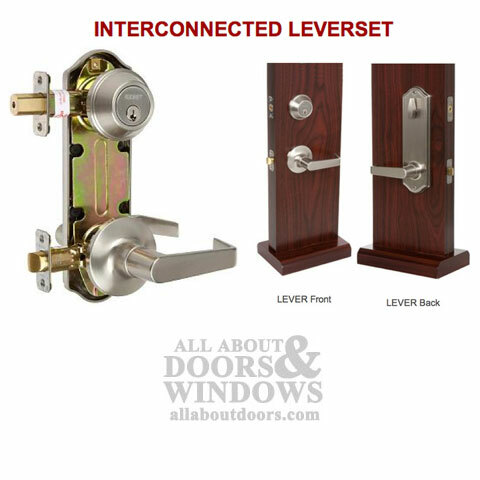 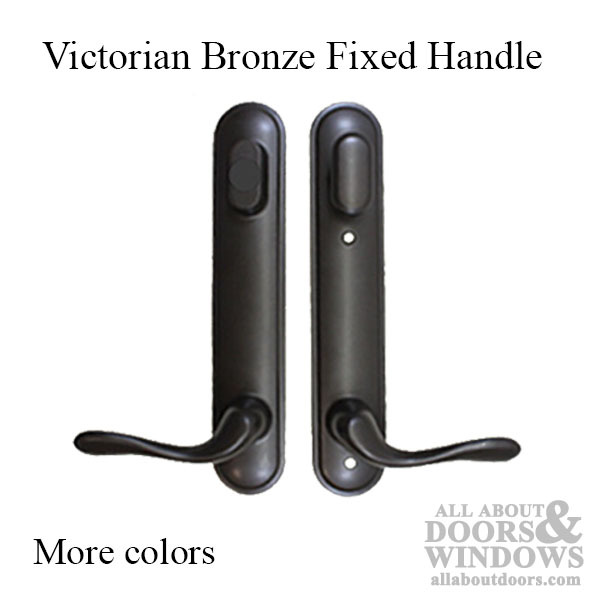 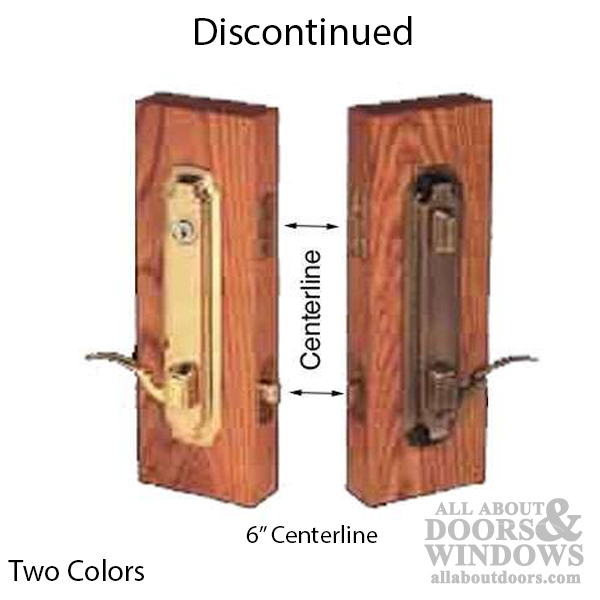 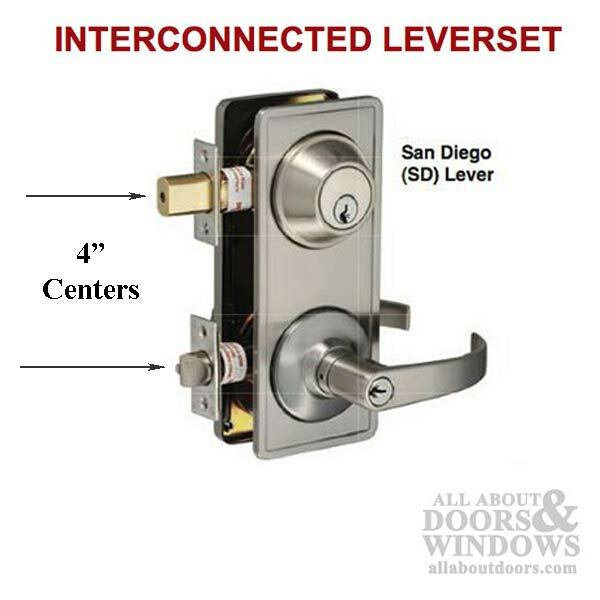 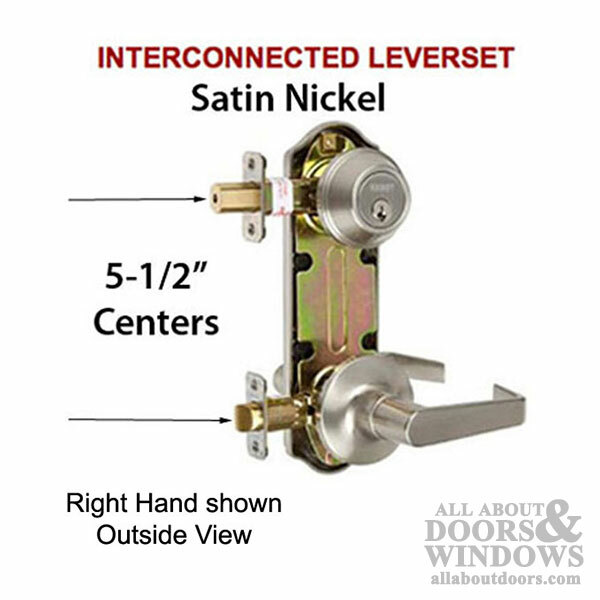 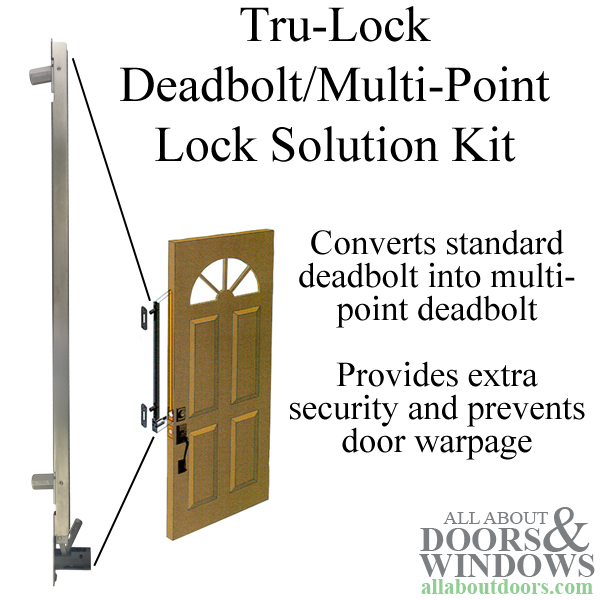 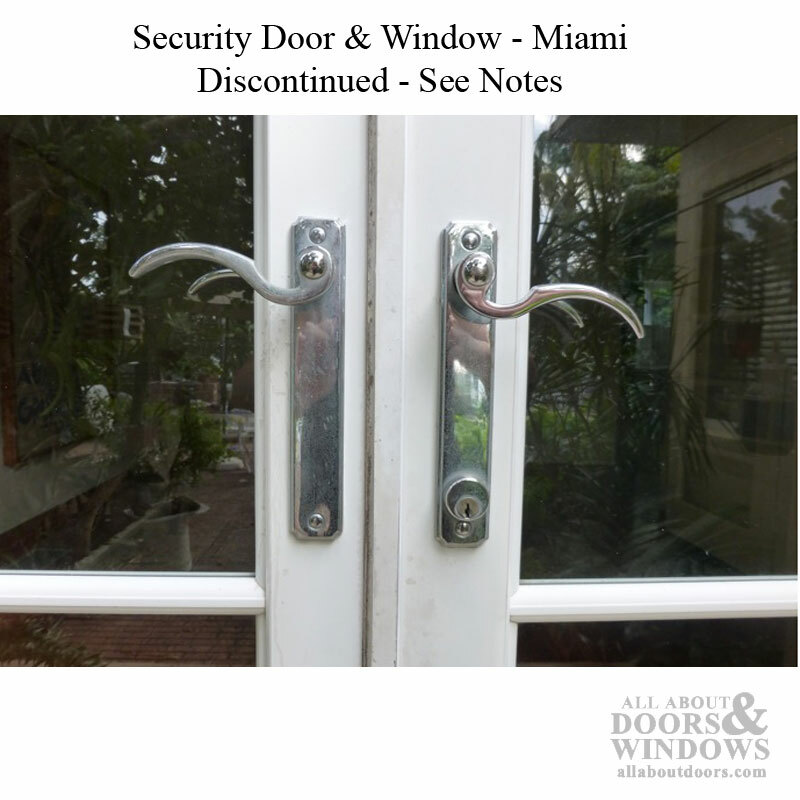 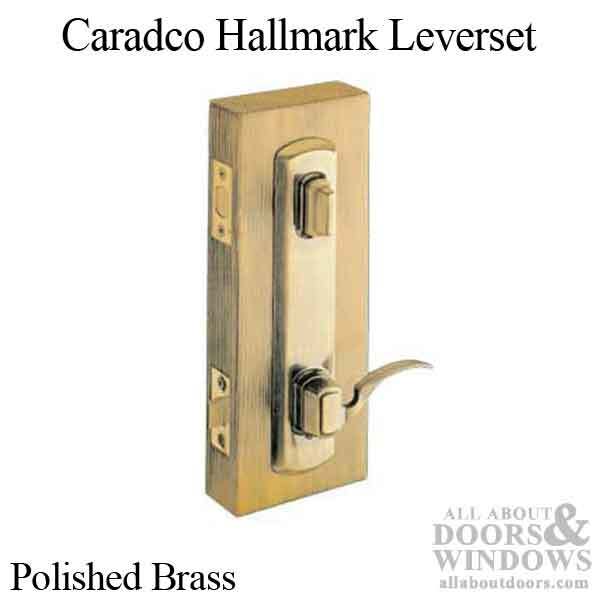 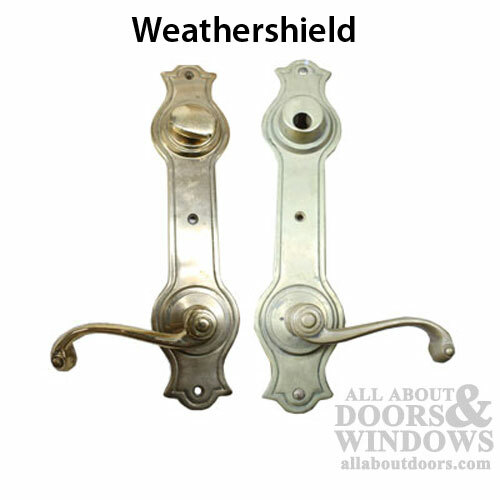 When inside, if the lever is pushed down it will retract the latch and deadbolt. 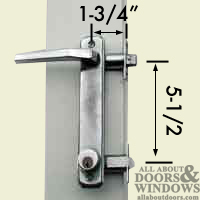 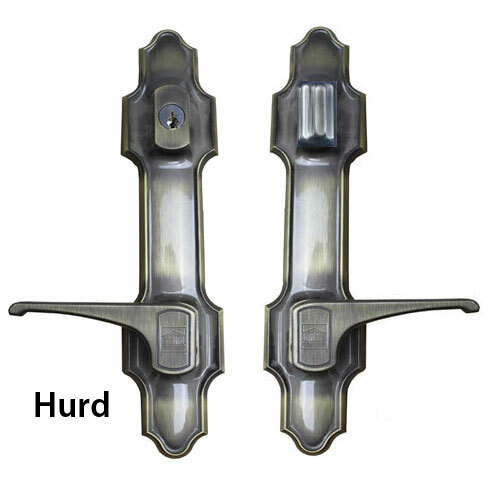 This type of lock is required for some commercial applications. 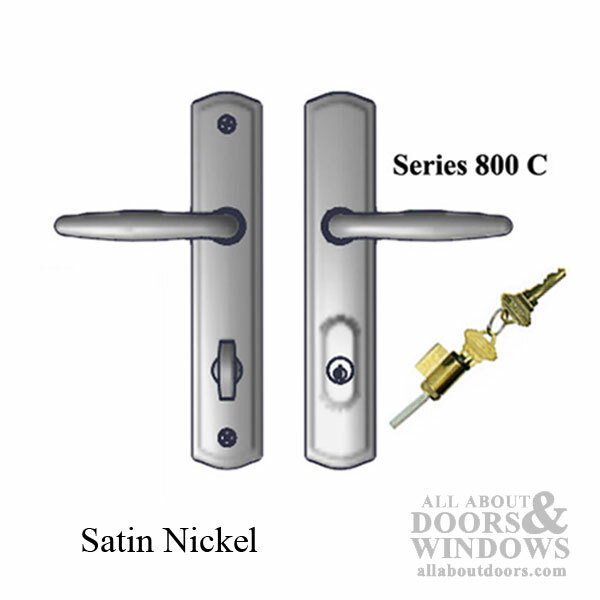 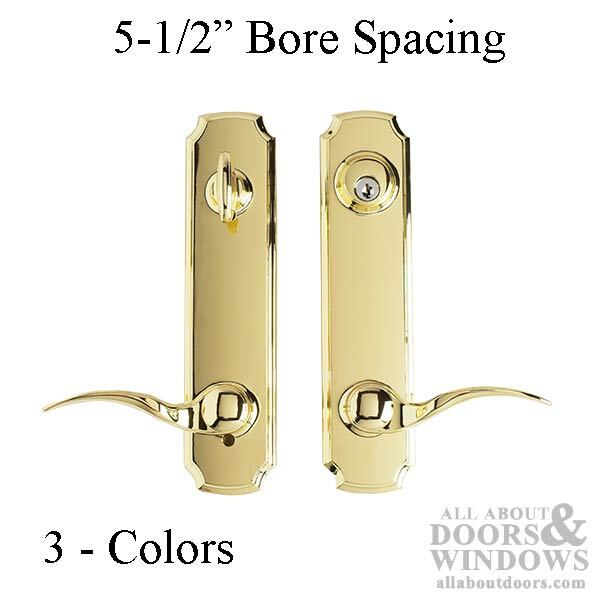 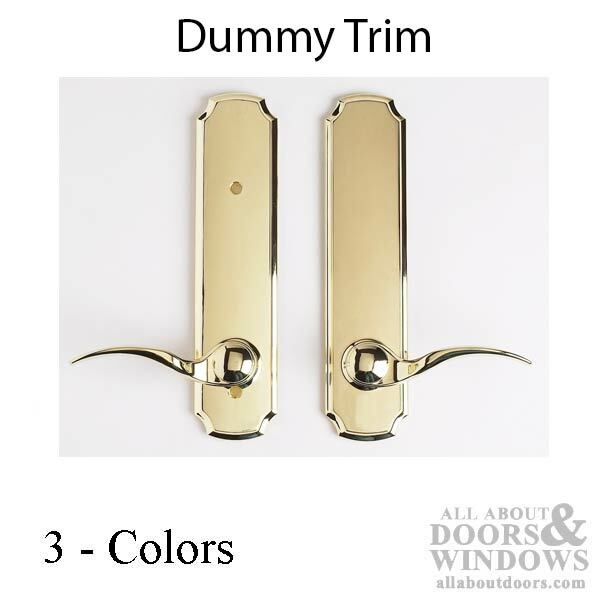 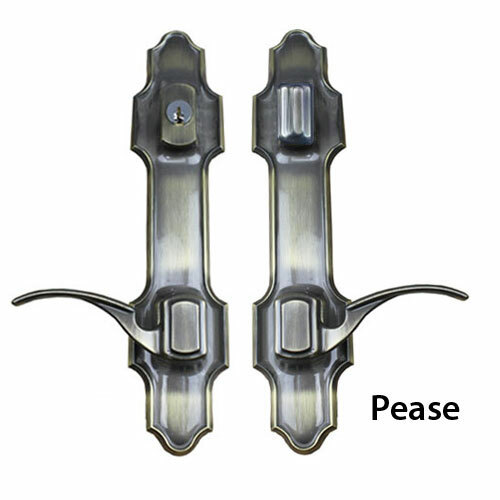 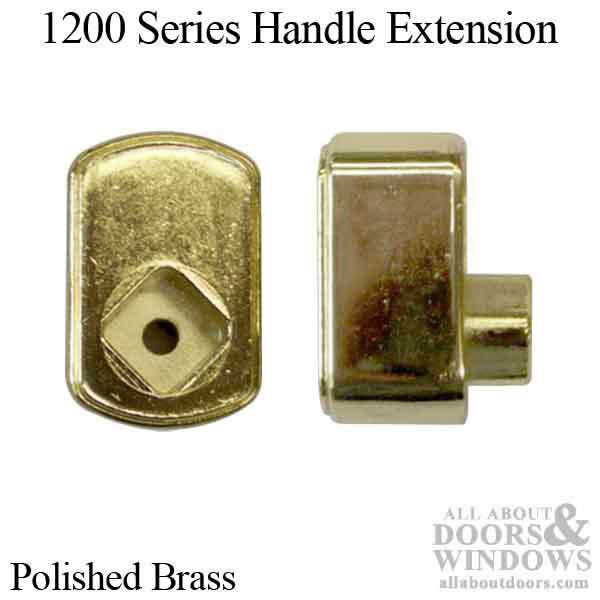 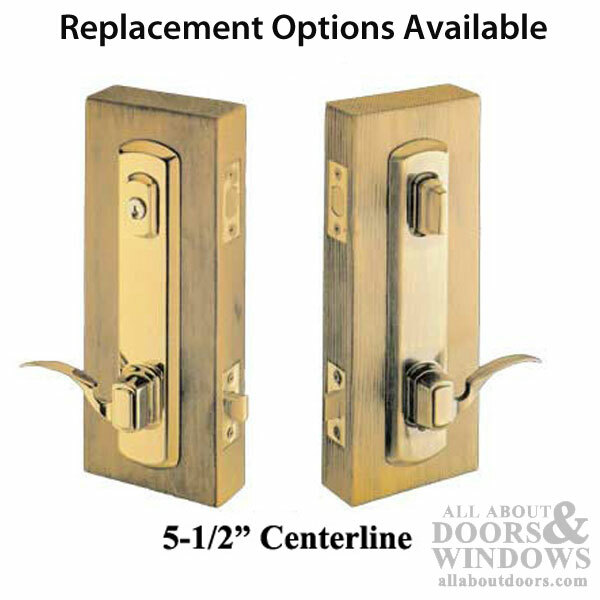 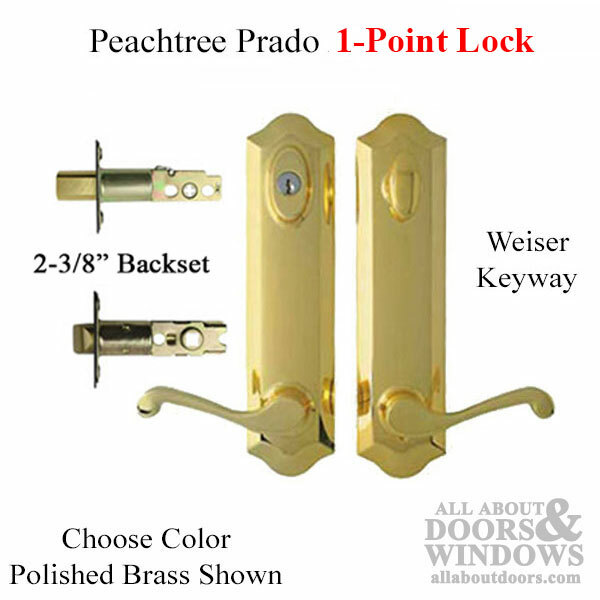 The One piece escutcheon plates on some locks are for design only, they may not have the interconnected function. 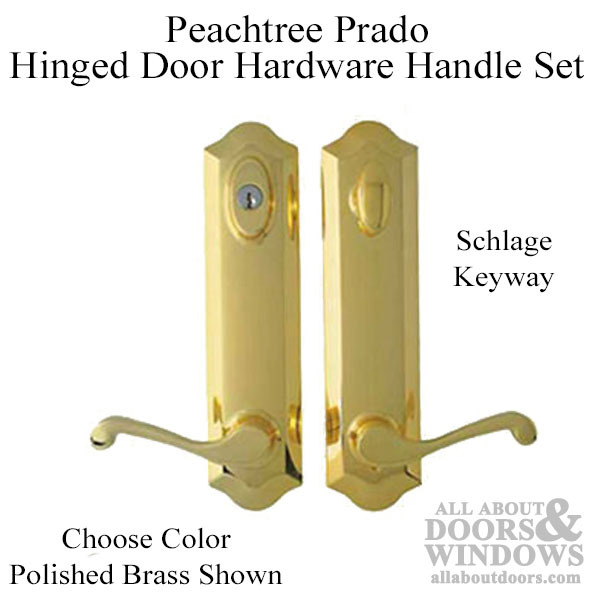 Peachtree Prado Hinged Door Hardware Handle Set - Schlage KeywayHandle to Cylinder Spacing 6-1/8"
Peachtree Prado Hinged Door Hardware Handle Set - Weiser KeywayHandle to Cylinder Spacing 6-1/8"
Peachtree Dummy Handle Set with Fixed Handles for Hinged DoorHandle to Cylinder Spacing 6-1/8"
Interconnected Lock, 5-1/2 Centers, Grade 2 Keyed Lever, Left Hand - Satin NickelHandle to Cylinder Spacing 5-1/2"
Handle to Cylinder Spacing 5-1/2"
Mortise Lock Replacement for Discontinued Security Door & Window hardwareHandle to Cylinder Spacing 3-5/8"
1200 Series Lock 6 inch Hole Spacing - DiscontinuedHandle to Cylinder spacing 6"
Caradco Hallmark Leverset, 6" Spacing - Polished BrassHandle to cylinder spacing 6"
Unavailable Interconnected Handleset; 6 Inch Centers - TanHandle to Cylinder Spacing 6"
Weathershield Exterior Door Handleset Trim 6" SpacingHandle to Cylinder spacing 6"